I planned a special Valentine’s picnic, but needed something to put the food in. 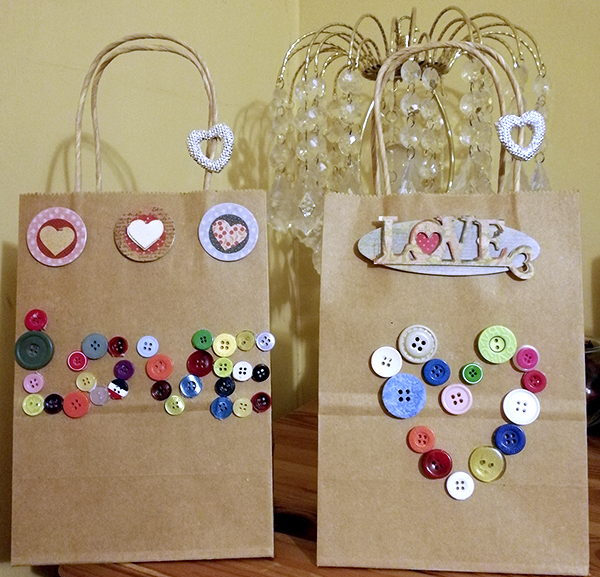 I decorated some paper sandwich bags by sticking on some bright buttons and romantic embellishments with glue. They look so cheerful and are ideal for Valentine’s day.